update: jim reveals the granolas. 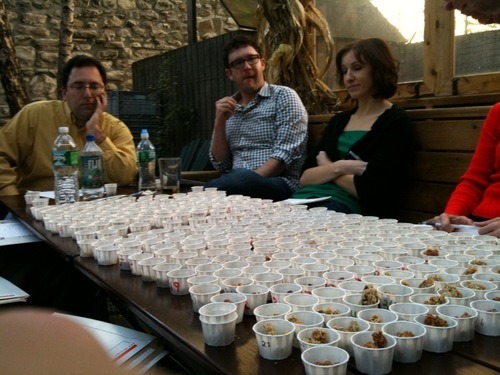 jim leff put together a granola blind tasting today in the east village at dba on 1st ave (which has a fine selection of draught beers and ciders). 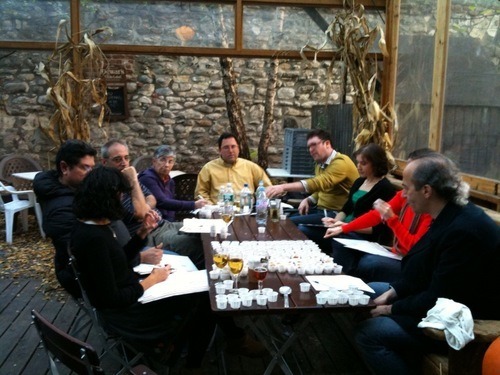 in these photos, you see the granolanauts surveying an expanse of assorted granolas in an intrepid fashion, then, midway through, in a less intrepid fashion. granola is not a low-calorie food. Oh my lord. This is like my heaven. I want to come visit you so badly.